Expect to see players going for The Baller in every match. The first week of the Fortnite World Cup Open Qualifiers is set to start this weekend. The first Solo competition will take place, and players who have reached Champion League in the Arena Mode will have access to the Qualifiers semifinals this Saturday. On Sunday, only the 3,000 best players in each region will move on to the finals and fight for a few spots in the World Cup Finals in June. The qualifiers will be a huge event, so both famous and unknown players have a shot at taking a spot in the World Cup this weekend. 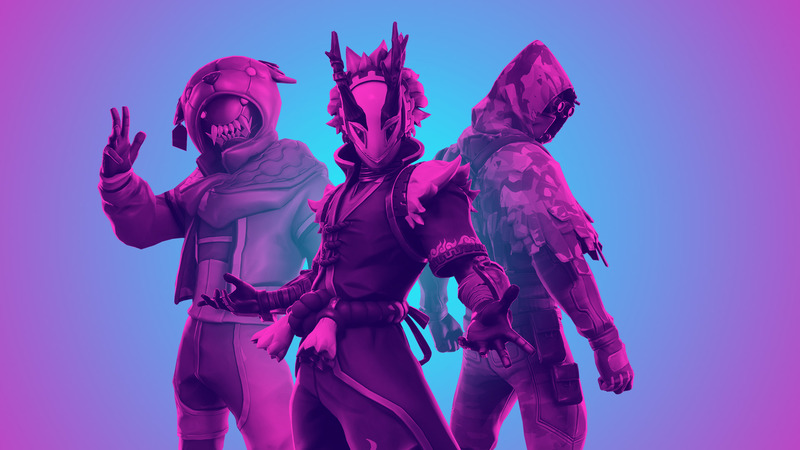 Despite that nearly chaotic scenario, there are a few things we can expect to see in this first week of competition when we consider the latest patch notes and the recent performance of top Fortnite professional players. Week one of the Fortnite World Cup Qualifiers will be centered around The Baller. This vehicle has just been nerfed and had its hit points reduced to 200—but it’s still a strong vehicle that shields the driver from a lot of damage, allows for great mobility, and can be a key part of a successful late game. Fans and contenders can expect to see areas with The Baller being contested quite often. Expedition Outposts, for instance, can turn into areas with high levels of action in the early game while players fight for the few Ballers that spawn there. Regarding guns, players should expect a high variety. Plays with Pump Shotguns will surely happen all the time due to the rewards given to aggressive players by the siphon effect, but Infantry Rifles and the Heavy Sniper Rifle will be used all the time in long-range fights. A few players have been using SMGs to spray down opponent’s structures and replace them with their own to take control of build fights, so these plays will happen often as well. Due to the usual fight for high ground in the late game, this week of the Fortnite World Cup will probably see lots of Rift-to-Gos and Gliders in use. The Rift-to-Go item guarantees increased and somewhat safe vertical mobility in the last few circles, while Gliders help players avoid fall damage when opponents on the low ground destroy structures. We can expect winners of previous Fortnite official competitions to rank up high in the leaderboards of week one. Ghost Gaming’s Timothy “Bizzle” Miller and Rocco “Saf” Morales will likely get some of the North America spots at the World Cup after week one, continuing the dominance they’ve shown during in the Secret Skirmish. Still in North America, FaZe Clan’s Turner “Tfue” Tenney is a great contender for another spot, since he’s been showing good late-game awareness during Arena matches even when at a disadvantage against The Baller. Team Liquid’s Noah “Vivid” Wright, who won several weeks of the Fortnite Summer Skirmish in late 2018 and got a third-place finish at the Secret Skirmish, might make a comeback and get a spot as well. In Europe, expect Atlantis’ Mitr0 to get an early spot for his region. He’s been one of the most consistent players in the region since mid-2017, and he’ll likely claim a spot this weekend. Ghost Gaming’s European players Liam “Kamo” Fillery and Issa Rahim should have good performances like in their previous Skirmish and online tournaments. Despite all that, several situations and unexpected plays can happen to make unknown players rise to the top this weekend and get a spot at the Fortnite World Cup. All matches of both the semifinals and finals start at 4pm in the local time of each region and end at 7pm. The players with the highest score will be the first ones to have a reserved spot for the Fortnite World Cup Finals in June.